Wherever possible the dentists and therapists at Binley Woods try to avoid the use of metal (amalgam) fillings. 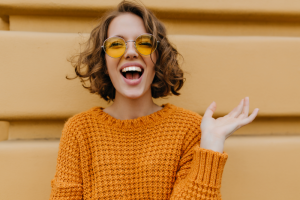 Instead, where appropriate, we offer natural tooth coloured, or ‘white’, fillings that use the latest bonding technology in order to preserve more of your natural tooth. White, or composite, fillings to restore a tooth to function and integrity are now our most popular treatment option. The advantages of white fillings are the lack of metal in the mouth and their natural appearance. Composites are not only used for new dental repairs – your old amalgam fillings may also be replaced, depending on the advice of your dentist. The latest generation of tooth-colored fillings not only extremely lifelike but strong too. They are bonded to the surrounding tooth and come in a range of shades, allowing them to adapt and integrate very well. If you have small or medium-sized silver amalgam fillings, it is highly likely that you will be able to replace them with white fillings, making the overall tooth look lighter and more natural. Because the composite material used in white fillings is moldable, the anatomy and shape of the tooth can be recreated by hand – a technique that can also be used on front teeth to modify their shape, close gaps and straighten edges. Need a white filling or want to replace an old metal filling? Give us a call today on 02476 540 045 or click here to book online and get a FREE CONSULTATION!